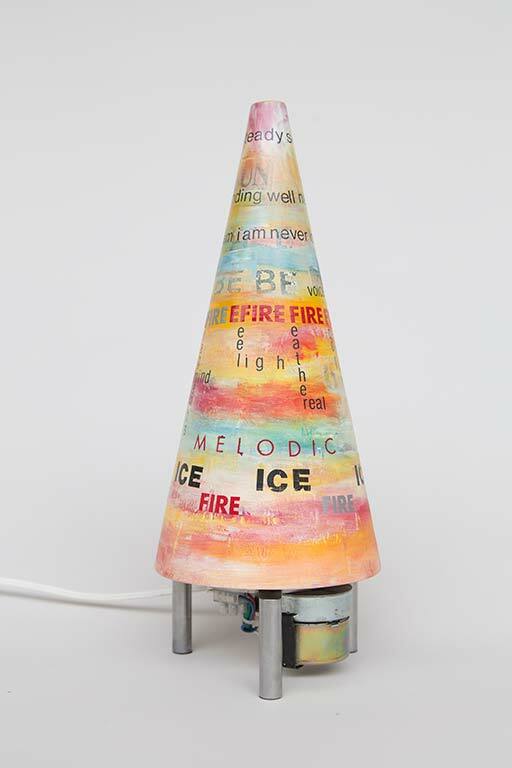 Acrylic paint, Letrafilm, newspaper, vinyl transfers on turned mahogany cone, electric 20 rpm motor. Poemcon. 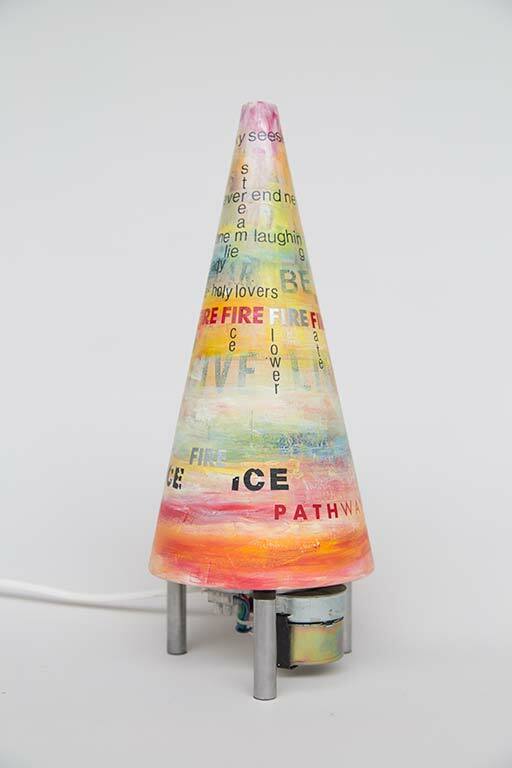 In these recent text works Lijn wants words to be interchangeable with colour. 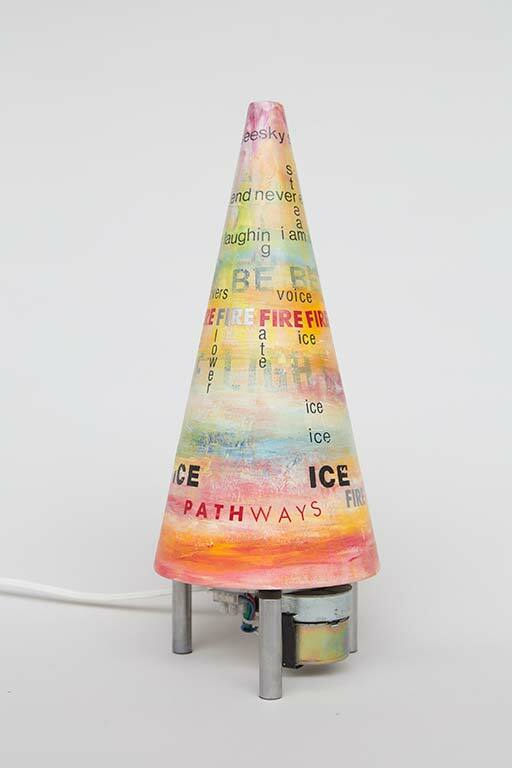 Whether she works with a poet’s words or her own text, Lijn wants the words to float into the viewers mind in continually changing sequences. Meaning, like a river, is always in flux.